Rarely offered, beautifully appointed home with over 4500 square feet, in much sought after LOWER MORELAND SCHOOL district. This custom home welcomes you into the two story 17' ceiling Center Hall with a skylight, 2 coat closets, hardwood floors which are also all throughout the 1st and 2nd floors. 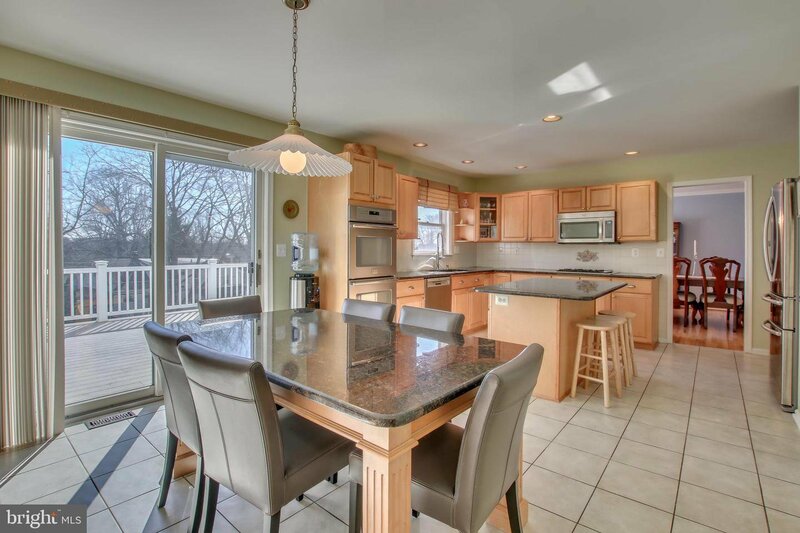 You will love entertaining in the spacious Living Room and Dining Room. The Family Room features a wall of windows, a gas fireplace and sliders to the oversized deck. The gourmet kitchen features an abundance of cabinets, granite countertops, tiled flooring and backsplash, island and breakfast bar, double oven, stainless steel appliances, walk-in pantry and doors out to the deck. The first floor also features an office with built-ins, powder room, 3rd coat closet and laundry room with lots of storage. The second floor leads to the large Master Bedroom Suite which has a walk-in closet. The Master bathroom was just updated and has a beautiful soaking tub, double vanity, heated towel bar, large shower and skylight. There are 3 additional spacious large bedrooms with lots of closet space and a hall bathroom with a double vanity. The lower level is included in the total square footage and is perfect as a 2nd Family Room (tiled flooring) for those large family gatherings and there's even a wet bar, additional separate room that could be a 2nd office, plus a storage room, a full bathroom and sliding doors from the main area out to a patio. This home also features professional landscaping, circular driveway, 2 car garage, new roof (July 2017) and also comes with a one year Home Warranty. Walk down to the nearby park and playground. This beautiful home has so much natural light and is conveniently located near the trains, shopping and major highways. Listing courtesy of Weichert Realtors-Jenkintown. Selling Office: .